2nd floor 2 bed, 2 full bath cooperative home located in Walden Ponds. Unit features newer kitchen appliances and washer and dryer. Carpet has been professional cleaned and new paint throughout. Kitchen with eat-in bar area overlooks dining room and living room. Living room features sliding glass door to deck. Master bedroom includes bath suite with large walk-in closet and private entrance to deck. 2nd bedroom has own separate full bath. Unit includes 2 parking spots with 1 covered carport. 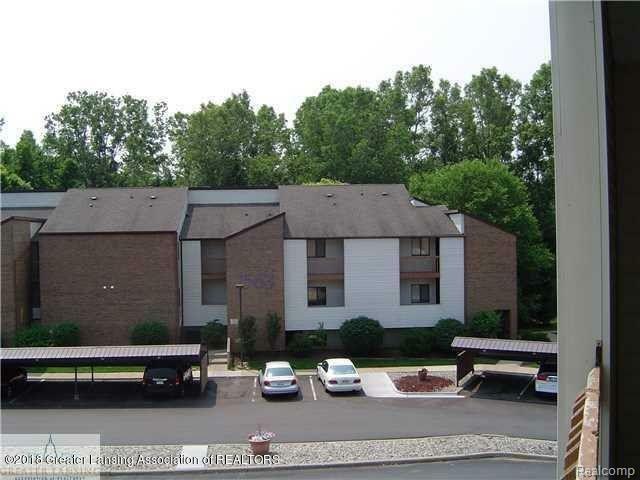 Easy access to I-96, Michigan State University and downtown Lansing. Buyer to pay Seller the difference between the agreed upon sales price of the unit and the blanket mortgage assumption balance (assumable mortgage balance $31,227 as of 10/1/2018). Buyer responsible for $350 co-op application fee.